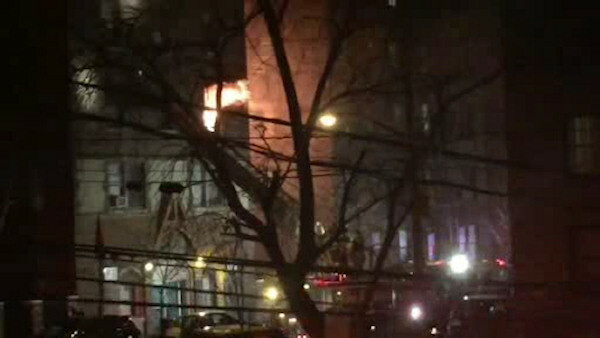 ALLERTON, Bronx -- Fire officials say a woman was seriously injured in an apartment fire in the Bronx. The fire began in the bedroom of a third floor apartment on Barnes Avenue just after 10 p.m. Monday. Fire officials say the 62-year-old woman was found unconscious in a smoke-filled hallway. The woman suffered burns to her face, body and legs and was hospitalized in serious condition. Fire officials say four other people, including three firefighters, suffered minor injuries.